If a Playtech powered online casino is your idea of heaven then maybe you will find what you are looking for at Slots Heaven Casino. 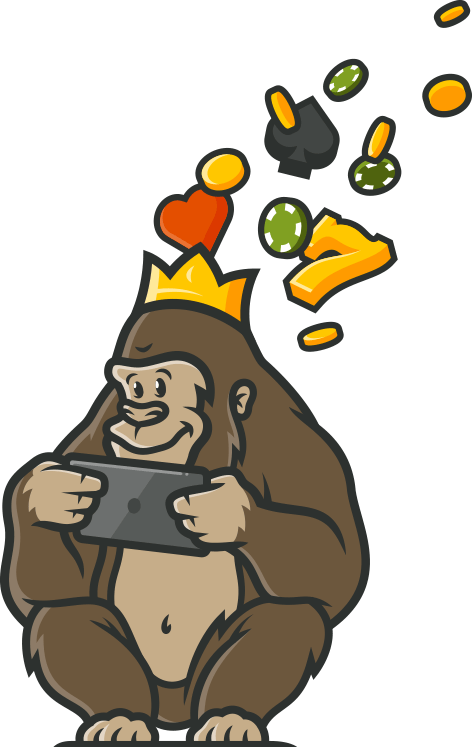 The Casino Gorilla has seen his share of hellish online casinos over the years but is hoping for the best when it comes to this offering from the long-established Mansion Group. After all, Mansion did take home the prize for Online Casino Operator of the Year 2018 at the International Gaming Awards. Slots Heaven has been operating since 2013 and although it may sound like a slots-heavy site they also pay particular attention to their casino table game offerings. There is nothing too complicated or convoluted about the Slots Heaven welcome package. Make your first deposit of between £20 and £100 and the casino will match whatever you credit your account with. What’s more, they will throw in 40 free spins on their famous Age of the Gods games for you to play with, and there will be another 160 spins to come. The 160 free spins are awarded in batches of 20 per day for 8 days after your first deposit, just to make sure that you keep coming back for more. You will need to wager the bonus 40 times in order to be able to withdraw it plus any additional profit you made using it. One of the most famous series of slot games in the world is the Age of the Gods series from Playtech, featuring various ancient mythical Gods doing battle on your behalf. You get to use your 200 free spins on these games and will hopefully manage to capture a fantastic cash profit for doing so. Forty of the free spins will be credited to your account instantly along with your bonus. The other 160 are released in groups of 20 every day for the next 8 days. You must wager any winnings from your free spins 20 times – exclusively on Age of the Gods games – before they can be withdrawn. You won’t be required to enter a bonus code when making your first deposit in order to claim your welcome bonus. After you make your first deposit you will see a pop-up appear asking you whether or not you want to claim the 100% matching deposit bonus. Simply accept or decline as appropriate, and you will not need to do anything more. Remember that the free spins are part of the overall bonus package, so you must accept to receive both the matching bonus plus your free spins. Yes the name of the casino is ‘Slots’ Heaven but thankfully there are other games to choose from here as well. It’s not the biggest live dealer casino you will ever see in your life but at least it’s there to offer some alternative casino gaming options for players who prefer the authentic feel of the live casino. There are twelve tables to choose from, offering games like roulette, blackjack, baccarat, hi-lo, Casino Hold ‘Em and 3 Card Brag. Playtech produce high quality live dealer games so you won’t have any complaints with what’s on offer at this casino. The Slots Heaven Casino allows you to play on your mobile via download or just instant play – whichever version is easier for you. No matter what type of smartphone or tablet you own you can be sure that you will enjoy some fast-paced online gaming when you are on the move. Android and Apple versions are both available for download and feature a good selection of the best games from the site. You will find a large range of popular payment methods available to make deposits to Slots Heaven Casino. These vary according to where you live, as some are country-specific, but all regions will be offered debit/credit cards Visa and Mastercard. Likewise, Skrill and Neteller are universal, although PayPal will only be available to some players. Boku allows mobile payments, while Paysafecard lets you top-up and use their voucher system. There are also various bank transfer options, many of which only work with specific banks. There is a monthly withdrawal limit of £10,000, although this is doubled for VIP players. The Mansion Group have been operating since 2003 and are known as trustworthy operators. This site is licenced and regulated by both the UK and Gibraltar Gambling Authorities which gives an extra level of protection to players at Slots Heaven Casino. The site uses a firewall and RSA 128-bit encryption technology to help ensure that customer details are always safe and sound. You will find that customer support operators working for any of the Mansion Group of casinos are well-trained and able to assist with all sorts of queries. When you click on the ‘Support’ tab you will be taken to the FAQ section of the site which offers a limited array of answers to some of the more popular queries. Should you wish to escalate your query to the support team then you will have to send them an email or else get in touch via live chat. 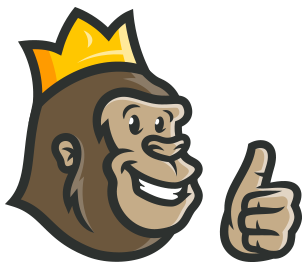 The Casino Gorilla is generally a fan of Mansion Group casinos, and this one is no exception. Slots Heaven Casino is not exactly revolutionary, but it is a good, solid Playtech casino which offers the best games from this well-loved developer. There is a good loyalty program which is available to all members, as well as a VIP plan to keep high-rollers happy. Nothing out of the ordinary here but we do like this Playtech casino. This site offers so much more than just slots, but that’s why I signed up. The ways to win slots are exciting and they pay a good mount. Love the bonus rounds and the games that have free spin bonuses. I am a fan of Playtech games and SLOTS Heaven has me covered. It truly is heaven for slot lovers and especially if you like Playtech titles. There are also other games that available, I spent quite a few times on the live dealer game sections.